Dishwasher Repair Glendale, AZ | (623) 233-0368 | Don't Wait, Call Today! A dishwasher is one of those appliances that can be a lifesaver (and timesaver) in any busy household. It can be a major inconvenience when they break, and the dishes need to be done by hand. This is why Key Glendale Appliance Repair recommends that our customers call us as soon as there is any sort of issue with the dishwasher. The sooner we are called, the quicker we are able to get out there and fix the problem the same day. We take pride in stocking our vans with all of the manufacturer’s parts and tools that we need to get the dishwasher fixed on the first trip. We know how important the dishwasher is and that is why our goal is quick and professional service. Our technicians are certified to deal with all the common issues that can affect dishwashers. There are a number of different things that can cause the dishwasher to make loud noises. These different sources include a washer arm bearing, motor bushing, or a broken pump housing. Our technicians and repairmen are trained and experienced in diagnosing what is causing the noise in your dishwasher. Because these are common problems, we are able to get them repaired and your dishwasher up and running in no time. We have all the necessary parts to repair all the common brands of dishwashers like Whirlpool, Kenmore, GE, and more. There are only 2 reasons why a dishwasher begins to leak water. One of the issues can be that the door latch or closure mechanism needs to be replaced. The other is that there is a water inlet valve that has failed. Both of these problems are easily dealt with by our trained technicians. There are a couple of things that the owner can do to troubleshoot this problem such as making sure that the kitchen breakers weren’t tripped and that the dishwasher is plugged in. If these things have been checked and it still won’t turn on, there are a number of different things that may cause this to happen. These more complicated problems include motor relays, electronic controls, door latch switches, and thermal fuses. Dishwashers fill with water to wash the dishes and then that water is drained once the dishes have been cleaned. 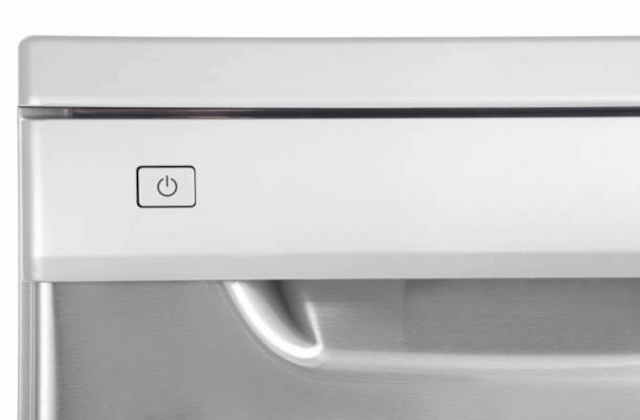 If the dishwasher is not filling up, this can be caused by a broken door switch, water inlet valve, or float switch. If the issue is that the dishwasher won’t drain, it is likely related to a faulty drain pump motor or drain hose. What good is a dishwasher if it doesn’t get the dishes clean? If this problem arises, it may be because of a broken or faulty housing gasket, filter, water tube, or spray arm. The Glendale, AZ Appliance Repair technician comes equipped with all the manufacturer parts to fix any of these problems. The drying process is apart of the convenience of having a dishwasher because once the dishes are loaded, they come out clean, dry, and ready to be put away. Our technicians are experienced in dealing with this problem in all common brands of dishwashers. They are trained to understand that a dishwasher will not dry the dishes if there is a broken heating element, thermostat, or rinse aid dispenser. If the dishwasher won’t dispense the detergent throughout the machine, the dishes aren’t going to get clean. If this is happening in a dishwasher, it is most likely caused by a malfunctioning or broken timer, wax motor, or bi-metal release.